In general a gas installation is only in a ventilated area permitted and should never be installed in a location where it may ignite flammable vapours, materials or chemicals that can cause corrosion or malfunction of the appliance. 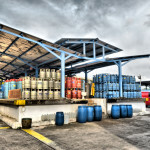 Dangerous liquids can be some cleaning solvents and chemicals used in dry-cleaning processes. Upfront LP gas cylinders are not allowed to be stored inside a boat. mounted externally on the upper deck. In this case the cylinder has to be more than one metre away from any opening into the boat, 150 mm away from any opening into the boat above the cylinder valve and 1500 mm away from any ignition source. Also cylinders have to be protected from any heat source if closer than 200mm to the heat source. 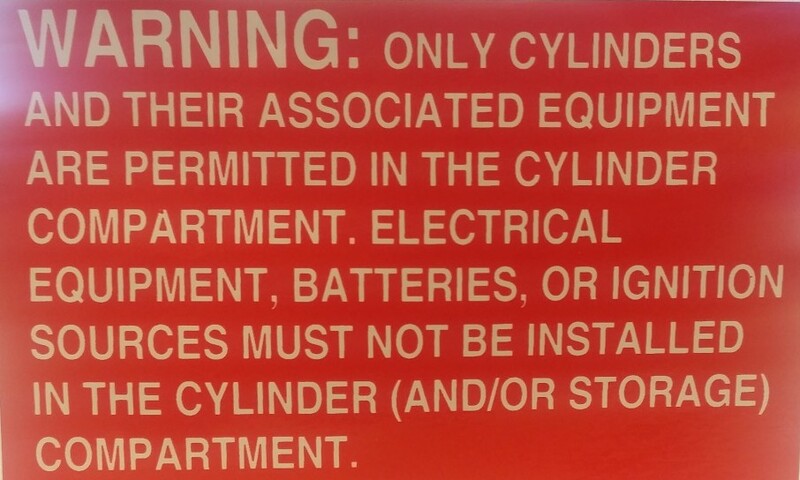 Be aware that the storage for unconnected cylinders is the same as for connected cylinders. The compartment has to be easily accessible and permit easy removal without the use from any tool. A key to secure the compartment is permitted. The difference between an excess cylinder and an insitu cylinder is the way how cylinders can be refilled. An insitu cylinder can be filled up on site and doesn’t have to be removed from the area. Always make sure that your appliances are regulated and don’t exceed 2.75 kPa. Unregulated gas supply where the pressure is exceeding 2.75kPa are not allowed. 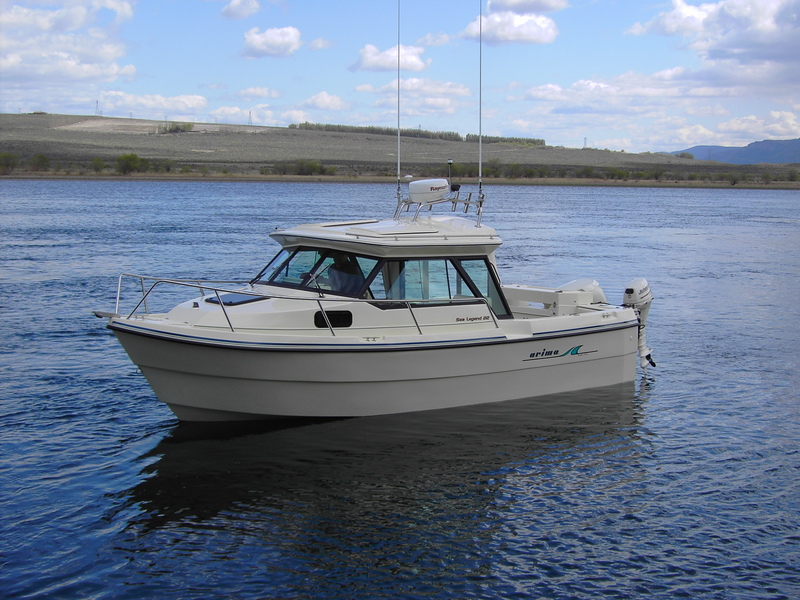 Water heaters other than a room-sealed type are not allowed on a boat. Space heaters other than a room-sealed type are not allowed on a boat. A space heater in Australia can be permitted when the Technical Regulator contacted, as a flue less space heater in the living area of the houseboat where the area can be isolated from the sleeping area. For this exception the space heater has to be fitted with a flame safeguard, oxygen depletion device and a tilt safety switch. Be aware that the gas consumption of the heater is not to exceed 0.2 MJ/h for each cubic metre of room volume. 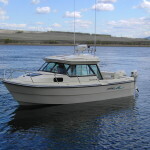 Regulators on a boat have to be mounted directly on the structure of the boat and can be if required stored in the LP gas compartment. 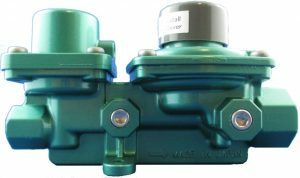 Make sure that the regulator is installed above the cylinder valve and protected from dirt and water. 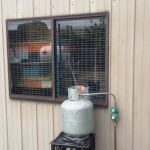 Never use a naked flame to test your gas installation. Use externally a soap and water mix or a gas leak detector to check any leaks in the installation. Make sure when using the soap and water option to test your gas on leaks to use a soap that doesn’t contain any ammonia and as this can cause cracking on brass. Make sure to rinse the tested fittings afterwards with fresh water to avoid any danger. Also make sure with a voltage detector when cutting into a gas pipe that the pipe is not carrying any electricity.